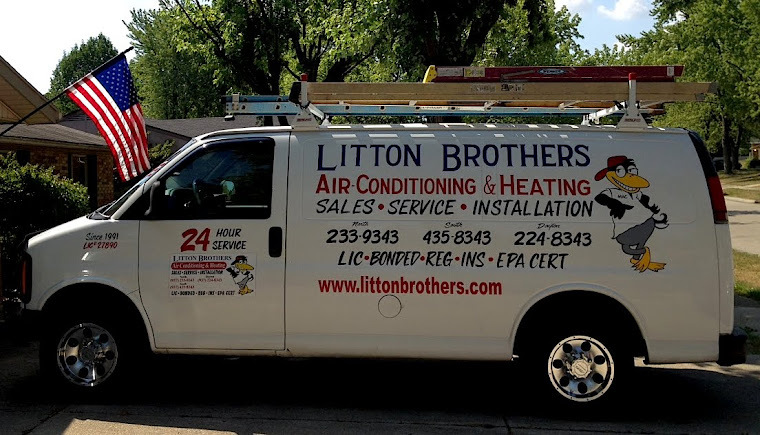 LITTON BROTHERS AIR CONDITIONING & HEATING DAYTON, CENTERVILLE, HUBER HEIGHTS, KETTERING: LITTON BROTHERS AIR CONDITIONING AND HEATING DAYTON IS BEST ... JUST ASK ITS CUSTOMERS! LITTON BROTHERS AIR CONDITIONING AND HEATING DAYTON IS BEST ... JUST ASK ITS CUSTOMERS! Litton Brothers always on call! Litton Brothers Air Conditioning and Heating in Dayton isn't just your run-of-the-mill HVAC contractor. Litton Brothers doesn't boast about having the same great rates 24 hours a day (as they do), or having an A-plus customer service rating for nearly 25 years with the Better Business Bureau (as they do), and they certainly don't brag about supplying its customers with the best products on the market at an affordable price (Umm, yep they do that, too). Litton Brothers doesn't talk about being the best ... their customers do! 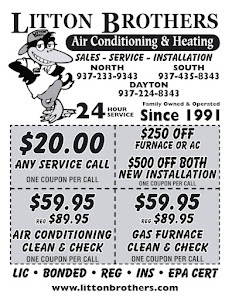 If you're in Dayton and in need of HVAC service, Litton Brothers Air Conditioning & Heating is the absolute best! Not. Even. Close. Litton Brothers gives the best pricing, equipment and customer service, hands down! 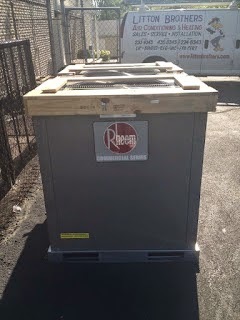 This is the best heating and air conditioning company in the city of Dayton. For those in Dayton, please call 937-224-8343. In Huber Heights and areas north, please call 937-233-9343. And for customers in Centerville, Kettering and areas south, please call 937-435-8343. You can also contact Litton Brothers by e-mail at kevin@littonbrothers.com or follow us on Twitter @Litton_Brothers or like us on Facebook.